Diana Bruno | The Secretan Center, Inc.
Diana Bruno, Senior Partner, Una Vita— Diana has strong ties to Italy, in particular the small village of Raviscanina where her grandfather Giovanni was born and her ancestors have lived for generations. 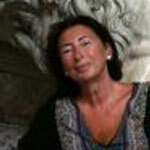 She is the President of the Una Vita Foundation. The foundations mission is to sustain a healthy Italy through the understanding, protection and preservation of the cultural heritage and legacy of traditional Italian villages. Although her roots may be in Italy, she has firmly established herself in the U.S. as one of the country’s most qualified and innovative advisors, helping healthcare organizations to improve care for their patients by becoming more efficient and effective. Diana as a Senior Partner with Una Vita, Inc.
Much of Diana’s focus has been on improving healthcare. With her colleagues at the University of Virginia, she established one of the first full-service clinical programs designed for women between the ages of 40 and 65. The program, which provides a comprehensive lineup of services, from primary healthcare and preventive cardiology, to education and support services, was named one of the ten best in the country by Self Magazine. Other national publications also took notice of the program. Ladies Home Journal spent months with the physicians and staff compiling a 30-page Women’s Health Report based on the work of Diana and her colleagues. Diana was a pioneer in applying Lean methodologies in healthcare. Lean is used to help reduce unnecessary steps and improve efficiency. Diana uses it to evaluate customer service and create rapid prototype models helping to improve these areas for healthcare facilities. Diana also uses her extensive experience in healthcare to educate others by speaking at professional conferences and writing for numerous healthcare publications. She has published more than two-dozen healthcare articles, professional columns and book chapters. As a member of the Ireland Report and the Mammography Regulation and Reimbursement Report editorial board, her groundbreaking outlook on healthcare continues to shape industry trends. Diana holds a master’s degree in administration of healthcare systems from Georgetown University, Washington, D.C. She has completed the Juran Institute Six Sigma and Lean training, is a member of the American College of Healthcare Executive, and is an affiliate of the Center for Health Design.